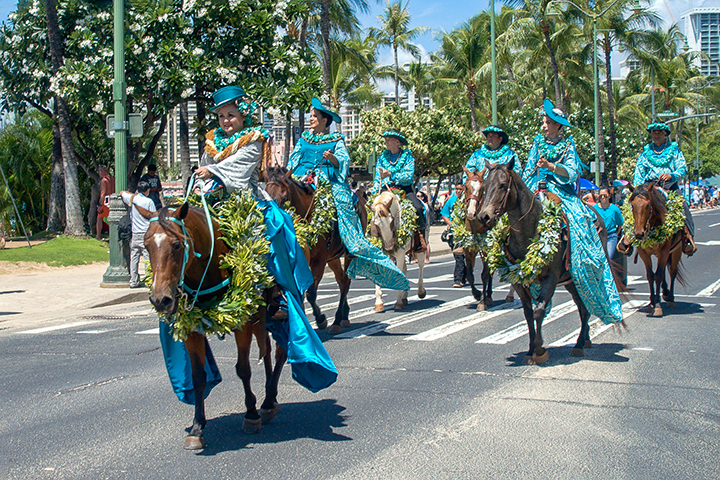 Pa’u riders in the Aloha Festivals in Waikiki. The Aloha Festivals started in Hawaii in 1946. This was when former members of the local Junior Chamber of Commerce thought it would be a good idea to have this event. Originally, they called it Aloha Week. Its purpose was to celebrate Hawaiian culture and heritage. Eventually, it became the largest and most well-known celebration of its kind and today draws well over 100,000 attendees. In 1991, the organizers expanded and extended the week-long ceremony and renamed it the Aloha Festivals. So now, people can attend the events from the month of September through mid-October of each year. Today, there are over 300 related festivities on all of the major islands during the Aloha Festivals. It is literally Hawaii’s biggest party. Each of the Hawaiian Islands hold ho’olauleas or Hawaiian cultural events and gatherings. The Aloha Festivals also feature a Hawaiian music falsetto contest, a made in Hawaii trade show, a steel guitar show, Hawaiian food festivals, concerts, hula performances and much more. Each year, each island stages an investiture of an honorary king, queen and their court to start off the month long festivities. The numerous ho’olauleas held on each island follows this. The largest one is a block party in Waikiki. Oahu caps off it festival with a parade on Kalakaua Avenue in Waikiki. It features floats with Hawaiian flowers, Hawaiian music, hula and local high school marching bands. 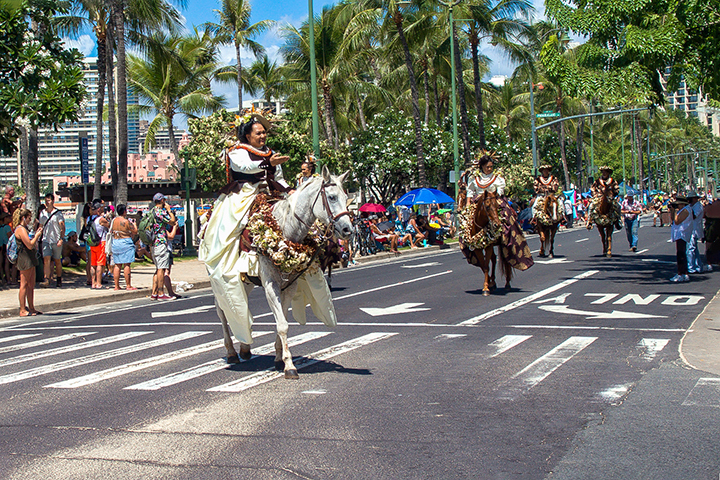 It also culminates with a colorful procession of traditional pāʻū horseback riders. Pāʻū are women riders who wear long, colorful skirts (or pāʻūs), leis and hats. They wear the customary attire of women of Hawaiian royalty when riding horses during formal occasions. So if you are in or planning to visit Hawaii during the month of September, you should definitely take advantage and participate in the numerous and wide variety of proceedings held during the Aloha Festivals. It will be a truly unique event that you can only find and experience in the Aloha State.